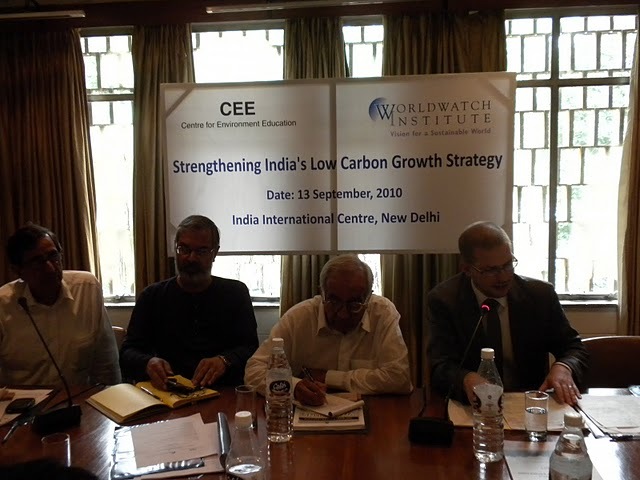 Worldwatch’s Director of Climate and Energy, Alexander Ochs, recently returned from a trip to India more optimistic than ever about India’s role as a global leader in sustainable development. Through numerous meetings and discussions with governmental and non-governmental representatives from the Indian energy sector, Ochs advanced the work of Worldwatch’s India Program and laid the groundwork for future partnerships. And he returned with hope and enthusiasm both for India’s promise for innovative leadership and Worldwatch’s potential role in this transition. This optimism is due in large part to what Ochs observed as a dramatic shift in attitude and approach towards energy resources and economic development in India. For the past two decades, India has shared the belief with much of the World’s developing nations that they held the right to support development with fast and cheap energy resources. Much like the United States, United Kingdom, or Germany, India would have an industrial age of rapid development supported by abundant and easily-utilized resources like coal and oil, with some regrettable but necessary negative impact on the local and global environment. The prime goal needed to be quick development at whatever ecologic expense. While this remains a widely-held paradigm, it is no longer driving the dialogue amongst a large portion of India’s policymakers and business leaders. Today, India chooses to take an active role as one of the biggest global energy markets.